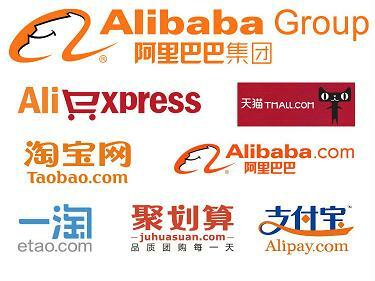 Alibaba leading the way Internationally. September the 19th marked a milestone in China’s Internet history, the day the Hangzhou based e-commerce giant Alibaba (NYSE: BABA), raised more than $25 billion in the largest IPO in history. Founder, Jack Ma, became China’s richest individual with an estimated net worth of $21.8 billion and the 17 other partners who invested in the company 15 years ago have made significant gains. 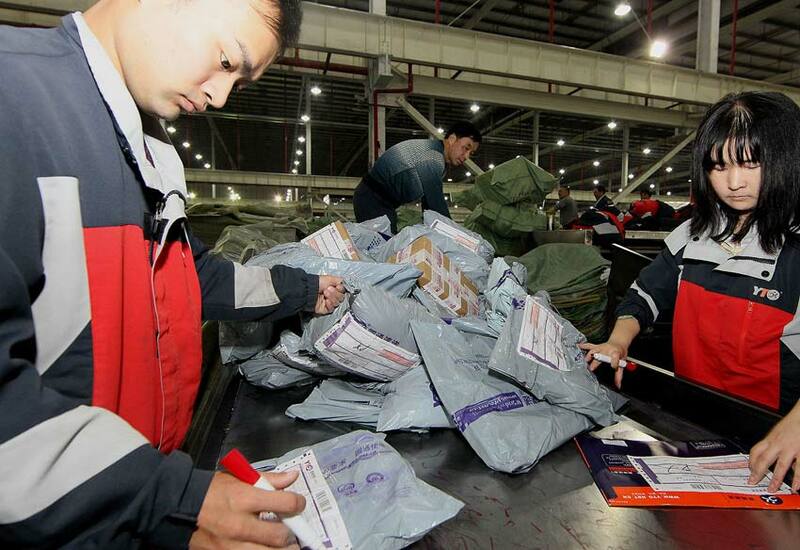 As China’s internet economy grows we can expect more Ma`s to grab our attention. Economist’s estimates internet related businesses will add between 0.5% and 1% of GDP growth to China’s economy every year till 2025. As the country re balances its economy away from real estate and manufacturing towards the domestic consumer the IT sector is flourishing: helped by the rapid growth of smart phones and a comprehensive nationwide communications network just currently expanding onto a 4G platform. Recruitment is a vital area for new IT companies where attitudes are changing. Gone are the days when the brightest looked to the SEO`s to provide a stable career path. New graduates want to be part of companies such as Alibaba, Baidu and Tencent where they attract new talent not only with their flexible, youthful corporate culture but with the allure of stock options: just ask the 20,000 Alibaba employees who are eligible for shares. The question now for companies such as Alibaba is whether, with their new found global exposure and deep pockets to match, they will continue to look toward the Chinese consumer to provide growth or if they will start to take tentative steps to becoming global companies where they remain marginalised. Traditionally Chinese IT companies have localised international ideas for the domestic market and performed well against International competitors, however it’s a whole new game outside of China. Their success is possible, but the process of becoming an established global business requires both strong institutional support as well as an internationalised corporate culture. Of all China’s internet companies Alibaba stands the best chance. With its dominant domestic market position: not only limited to online retail but also in online payment processing and cloud services it has a diverse infrastructure and knowledge base. It must be on the prowl for acquisitions in Silicon Valley to bring it an international edge to its possible expansion plans. As its first foray internationally the company is currently in talks with India’s Snapdeal. Over at least the past 25 years, the case for investing in China came with little in the way of political strings attached. That could now be changing. Years of relative calm have suddenly given way to rising tensions all along China’s maritime borders. Friction is also growing between Beijing and Hong Kong, where the Central Government is taking on democracy activists ahead of the 2017 election of the territory’s chief executive. This is all occurring against a backdrop of a slowing economy as the debt-fuelled, investment- driven growth model which sustained GDP rates for the past 20 years runs out of steam. The threat of a hard economic landing had always been the key concern about China. Investors now must weigh up the risks associated with a more assertive Chinese foreign policy, as well as a dramatic hardening of official attitudes on the mainland. It’s not enough to blame this sudden shift on the appointment of Xi Jinping as head of the Communist Party at the end of 2012. A globally more assertive China is the product of a confluence of factors, including the country’s own historical experience and surging economic growth. Changes in the international order - not least the perceived decline of the west following the global financial crisis - have also helped change Beijing’s thinking. Chinese scholars blame the U.S. for upsetting the regional status quo after President Barack Obama’s “pivot to Asia,” starting in 2011. U.S. attention had been dominated by the “War on Terror” for the previous decade, and the Obama White House’s attempt to refocus on Asia was seen in Beijing as an effort to contain a rising China. Obama denied that this was U.S. strategy throughout his high-profile visit to the region at the end of 2011. The president’s visits to the countries on China’s periphery, including historical rival Japan, were intended to send the message that the U.S. remains committed to keeping the peace in East Asia. If they were also intended to send a message to Beijing to back down from its various territorial disputes in the region, then Obama’s trip was a failure. If the nationalists hogging internet message boards and composing editorials for the Global Times newspaper had their way, conflict in the Pacific would begin tomorrow. The increase in the official Chinese military budget has exceeded official GDP growth rates for years, though analysts believe the People’s Liberation Army still isn’t ready to adequately project power beyond China’s borders. That hasn’t stopped long-simmering territorial disputes between China and its neighbors from deteriorating into open bickering. China and Vietnam are trading accusations about incidents of vessels ramming each other in the South China Sea, while the Japanese and US air forces complain of Chinese jets buzzing their planes in the skies above the East China Sea. China’s neighbours accuse Beijing of throwing its weight around, refusing to accept arbitration and risking open conflict. This shift in perceptions about China can’t all be blamed on Xi Jinping, but his appointment to lead the country has brought with it a notable hardening in China’s foreign and domestic policy forgetting the adage that it`s trade that fosters good neighbours and not confrontation. The optimistic view is that China, now the world’s second biggest economy and on track to be the largest by the middle of the decade, is attempting to redraw the lines of a post-World War II settlement that it wasn’t given a say in the first time around. An alternative view is that a newly assertive People’s Liberation Army, bolstered by China’s economic rise, with the civilian government in tow and cheered on by nationalist voices, is looking to settle historical scores in a dangerous game which risks open conflict. It’s too early to say with any certainty what Xi Jinping intends, though it’s clear that his vision for China includes a more assertive stance overseas and less political dissent at home. Xi’s domestic policy has so far been marked by a sweeping anti-corruption campaign, which has surprised both for its length and breadth. It’s not just corrupt officials and military officers who have suffered. Political activists, lawyers and journalists have been swept up in the campaign. Simultaneously terrorist attacks tied to Uyghur separatist groups have resulted in a more visible security presence on the streets of many cities. This increase in political tensions hasn’t had much impact yet from an investment point of view. For now, business executives in China see the country’s deteriorating relations with its neighbours as an unwanted distraction. Meanwhile, the anti-corruption crackdown has only served to expose the dangers of basing a China business model on the practice of gift-giving, as some luxury brands have discovered to their cost. Businesses operating here would rather focus on long-standing gripes about market access, unfavorable treatment and an opaque and arbitrary regulatory framework. But the investment case for China becomes harder to make as the onshore market cools without any corresponding improvement in the operating environment. It used to be a given that the Communist Party would not threaten its economic development by challenging Asia’s long-standing balance of power. The Communist Party intends to bring China’s urbanization rate up to around 75% from the current 52% over the coming years, and that process requires a still-intense focus on domestic policy and avoidance of territorial entanglements. But that view has been shaken in recent months by increasingly violent clashes between China and its various neighbours. The anniversary of the centenary of the start of the First World War has resulted in more than a few comparisons between modern China and Kaiser Wilhelm’s disastrous attempt to push Germany up the rankings of the Great Powers. If China could only resolve it`s identity crisis and become so much more than simply an enviable development model, it would find a more receptive Asia to its leadership ambitions and remove uncertainty about where the region is headed. It is fair to assert that it has taken America decades to realise the true potentials of an emerging Africa, and that she is only doing so on the heels of growing Chinese influence on the continent. This assertion has led many experts to believe that the well-publicised upcoming US-Africa summit in August is another opportunity for the US to re-strategize and come up with policies that will counter and contain the growing Chinese presence and influence on the continent. Truth be told; there’s growing concern within the corridors of power in most western nations notably; France and the United States that, giving the speed at which China is penetrating Africa, China could soon start enjoying the level of political influence in Africa that was historically held by France and the United States. With this in mind, both countries have had to go back to the drawing board and drastically redesign their African policies, with each one of them emerging with different strategies and policy options to contain the Chinese expansion and grip on the continent. The forthcoming US-Africa summit could be seen as yet another opportunity to re-engage with Africa. However, for this to yield any fruits, many looming questions must be sincerely scrutinised and answered. Is America stepping in late? Can the Americans match the Chinese success in curbing and nurturing Africa at the same time? Can they move in with full packages like the Chinese do? Have they got the extra money to spend like China? Can the Americans establish relationships based on friendship and mutual understanding rather than the tutor-student relationship that is being perceived by many Africans? Can the Americans compromise on their values for democracy and human rights in favour of a “cordial and friendly relationship”? What of the non-interference policy being advocated and practised by China? A well-known and highly adorable sweetener in the Sino-African relations has no match, especially with proponents and advocates of democracy and the respect of Human rights. With a capitalist system in place, how will America create and bank role state owned corporations to take on big and visible projects in Africa in return for natural resources? To be able to answer the above questions, one will need a full understanding of the foundations on which these relationships with Africa are established and how they have evolved over time. It is evident that China’s huge and expanding presence and success in Africa is not by chance or luck. It has been a well thought and worked out strategy in the making for many years. A Chinese foreign minister Li Zhaoxing once stated that “today’s Sino-Africa relationship is viewed by both sides as deep-rooted and forged in years of mutual support “. Well, that is the Chinese narrative, and what they do not also tell the world is that it is an unbalanced relationship in which one out-powers the other in everything, leaving the weaker with little or no bargaining power or a better alternative. Early foreign policy reforms embarked on in the early 90s by the Chinese government regarding Africa can be credited for the country’s success on the continent. As early on as 1995, the commerce ministry, on orders from the Chinese state council was instructed to reform its Africa policies, prioritising any link between aid and trade. Creating the Forum on China–Africa Cooperation (FOCAC) in 2000 was a clear indication that there was a true commitment within the highest level of Chinese government to foster bilateral trade and relations with Africa. The cornerstone of this commitment was the Chinese believe in the continent and willingness to take risk while the rest of the world’s investment community watched from a safety distance. Note, FOCAC was launched in October 2000; five months after the US congress had approved the African Growth and Opportunity Act (AGOA). Via partnership programs with host countries, the Chinese government has help fund multimillion dollar projects across the continent, most in infrastructure ranging from road construction, power plants to rail ways. To many Africans, this is the kind of investment and development aid the continent has been yearning for and not development aid in the form of wheat and flour or digging wells. Even if the oil and other natural resources are being siphoned to China, they are at least leaving behind visible investments. So far Africa seems quite comfortable with that relationship with China, but not to the satisfaction of the US, who sees China’s presence in Africa as being exploitative and on many occasions has had to voice these concerns openly. In 2012, Hillary Clinton, the then US secretary of state while on an African tour warned Africans against unnamed “outsiders” coming to “extract the wealth of Africa for themselves, leaving nothing or very little behind.” It was obvious who the unnamed outsider was. China feeling guilty, quickly responded by accusing the United States of seeking to sow discord between China and Africa while keen to reap benefits for itself from the booming continent. It is indeed a battle between two elephants. America and other proponents of democracy believe China has no plans to halt its expansion on the continent even when democracy and humans rights are at risk. But fairly speaking, if one was to do a survey in many African countries on what they will choose between visible development and democracy, we all can guess the outcome. Very few will want to compromise any development initiative or project (even with known long term exploitative objectives) for democracy. That is not to say democracy does not have its place. Both should go hand in hand. America seems trapped in a dilemma, given that on one hand they do over emphasised democracy; while on the hand continue to support some autocratic and in some cases military regimes on the continent. These mixed messages have not been doing America any good. The African Growth and Opportunity Act (AGOA) approved by the US congress and passed into law in 2000 was a golden opportunity for the United States to re-engage Africa and take over the front seat in piloting the continent’s growth. However, the lack of commitment and the limitations with AGOA explains why 14 years down the line; the US is still trying to catch up. First and foremost AGOA which granted preferential duty-free and largely quota-free access to the U.S. market for some 1,800 products from 41 sub-Saharan African countries was a bold and a major step taken by the US to engage with Africa on the trade front, however the details of the program lacked the ingredients required to enhance and kick start growth on the continent. Secondly AGOA highly publicised as a program aimed at encouraging exports from Africa, failed woefully in encouraging new product lines being exploited and exported to America. There was hardly any investment in infrastructures to boost new productivity, whether be it in the garment industry or basket weaving. The program ended up only facilitating exports in products that would have been exported with or without AGOA. For example, 2008 figures show that African countries exported over $66 billion worth of products to the United States, an increase of almost 30% from 2007. But more than $62 billion, or 94%, came from oil and gas and minerals, products that would have been exported with or without trade preferences. Similar in 2013, oil and petroleum products accounted for over 80% of the exports to the United States from African countries. Hopefully, the shortcomings of the AGOA program that is expected to come to an end in 2015 will be used as a yard stick and learning curve for future engagements with Africa. America had the opportunity in Africa, but lost it to China. Another bone of contention between the US-Africa relationship is the perception held by many Africans with regards to the Washington consensus. For close to three decades today, the market fundamentalism or neoliberalism (Washington consensus) being implemented by the World Bank, and her sister institution the International Monetary Fund has had very little noticeable impact in developing the African continent and alleviating poverty via economic growth. It is again fair to assert that both institutions failed to jump start the continent’s economy. Many studies have concluded that the strings and conditions attached to most development aid under the Washington Consensus were dampening rather than encouraging economic growth on the African continent. Even still in cases where lesser strings and conditions were attached, the implementation mechanism of policies designed in Washington had very little impact, since they often failed to directly address the problems and challenges facing the struggling masses. The Washington consensus on a grand scale agreed and encouraged developing countries to export more of their natural resources including cash crops to international markets, so as to raise funds for servicing debts. Countries implementing the Washington Consensus (structural adjustment and stabilisation programs) were often forced to cut spending on vital sectors such as health, education and development so as to meet up with debt repayment plans. This left many impoverished African countries with no glimpse of hope to ever industrialise and diversify their economies. Many impoverished countries were often encouraged to concentrate on the production of cash crops similar to other developing countries, which obviously resulted to a surplus in the market and hence leading to a drastic fall in prices on those products and commodities, this to the benefit of the richer and developed nations. Fairly speaking, the Washington Consensus, from its inception was never designed to enhance development, economic growth and fully alleviate poverty in the developing countries. In a real world, it was/is a well-crafted debt creation and collection tool. The only thing the Washington Consensus succeeded in doing was widening the gap between the rich and poor, and creating new oligarchs in countries that were implementing privatisation programs. Twisting the arms of developing countries to carry out recommended structural reforms at the expense of key functions of the state was never going to be growth enhancing. This may be explains why for over a quarter of a century, the World Bank and the IMF despite spending a chunk of cash, have failed to deliver tangible results in Africa. Contrary to these conditional and strings development aid, the Chinese aid comes with no strings or conditions attached to it. However encoded within the aid packages are pseudo long term exploitative objectives whose adverse impacts are often too blur to see. The perception being portrait by China is that, they have agreed to deal with African countries as partners in development rather than the master-servant relationship practiced by the western nations in Africa. As per the Chinese narrative, it is a give and take kind of relationship. The coming of the Chinese with their new model, aka the Chinese full package (Money, Technical expertise and protection from international sanctions) changed the balance. The complete package, from the sound of it is always too good to not tempt many African leaders, especially those with murky human right records. But the big question is, to what extend can these countries rely on China for protection in the event of a unilateral action, say from one of the super powers? 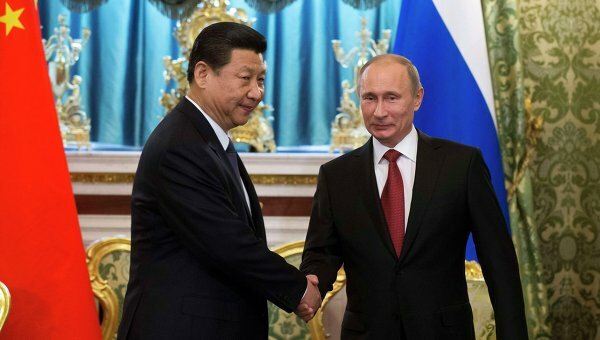 For now, and lessons from recent events have shown that the probability of China stepping in and preventing a military action with the use of counter force is close to, if not zero per cent. In that full package, their guaranteed protection ends at blocking UN Security Council resolutions against countries in which their interest is at stake. But as soon as the Security Council is by passed, China has proven not to have the guts to stand in the way. Sadly in some instances, they have quickly switched sides to get closer to the winning group so as to secure their interest when the new group takes over. If the summit fails to achieve its defined goals, the US will be left with no option but to concentrate on hotspots where there are conflicts, since it is evident that China often shies away from mingling in internal conflicts. With its military strength, which is also its biggest asset and export, the US will stand to benefit by increasing the exportation of this asset to countries rich in natural resources. One way to achieve this will be to promote and expand the war on terrorism, so as to militarily engage those countries. To a lesser extent, encourage espionage to foment new conflicts on the continent, so to have a reason for intervention in favour of a regime that will be pro-American. Form new alliances and strengthen existing ones with other disgruntled stakeholders such as France who are losing grounds on the continent, for a joint resistance against the Chinese expansion on the continent. It is not yet too late. There is still a void in the industrialisation sector across Africa and the US has another chance to fill that gap. If the Americans will want to remain relevant in Africa for a foreseeable future, then they will have to deviate or shift their strategy from the heavy military oriented interest to a rather economic interest. Cut down its military assistance to the continent and redirect the resources to visible growth enhancing infrastructure projects. It is pointless to carry on providing military assistance and training regimes that in most cases are the very ones creating the greatest problems. Not cutting down on this will imply that, the US will carry on expanding its military presence on the continent via the Africa Command Centre (AFRICOM), while China on the other hand will carry on expanding its economic presence. It is obvious which one will pay off in the long term. Rather than embarked on exaggerating the security risk of the continent and scaring off potential American investors, the US should promote and encourage investors to move into the continent and invest in the continents’ infrastructure, so as to turn Africa into the new factory of the World. There is enough cheap and available labour to run that new factory. Infrastructure should be built to take on the production that is currently being outsourced to Asia, in particular China. It will be beneficial for America to have an alternative, and hence reduce the heavy reliance on China who is at the same time a real rival. With over 200 million people aged between 15 and 24 (the youth bracket), Africa has the youngest population in the world, an asset which the US can exploit for its consumer based economy. With that youth population size, it is evident that cheap and sustainable labour can be sourced from the continent. After this summit, Obama should multiply the number of trade visits to Africa during his remaining years in the Whitehouse, taking along with him large delegations of potential investors. The era of the “BIG America” perception is fading out, so it will be a miscalculation to seat back and send low level government officials on behalf of the president and expect much in return from the African head of states. Taking the lead and championing such trips will delineate a new level of commitment and readiness to do business. A Long term commitment to invest in key sectors of the economies will be key to the success of this summit. The US must stop leaning on the risk factor in Africa, because others are taking the risk and succeeding. One of the reasons why security is an issue is because of the huge youth unemployment. Dangerous sects and extremist are exploiting this high rate of unemployment to their benefit. A case in hand is the dangerous extremist sect Boko Haram originating from North Nigeria. The shrinking of the major garment in industry in that part of the country left many youth unemployed and hence vulnerable to Boko Haram recruiters. Therefore seating back and relying on a military response is not an option. Africa has a lot to offer and has complete packages as well, which are; expanding markets, cheap labour, and natural resources. They deserve the full attention and respect from their counterparts.It is obvious today that the opportunities in Africa and its potentials far outweigh any challenges the continent might be facing. Now the fastest growing continent in the world with growth estimated at 7 to 10 per cent and home to 7 of the 10 fastest growing economies in the world; Africa really has a lot to offer. The continent must stop portraying itself as a victim and the weakest link during negotiations. To carry on wearing the victims’ hat at the negotiation table is self-defeating. The continent has what it takes to be in control now and to define the rules of the game on the continent. External actors should not be the ones setting the rules of the game being played on the continent. Despite all the odds and criticism, the coming of the Chinese gave the continent an alternative and a backup to cut loose of the conditionality regime that had governed the continent for many years. It has repositioned Africa and given the continent some leverage over its bargaining power. However, China should not be blindly embraced. Africa must plan now for the long term and its leaders must be conscious of the fact that whatever arrangements they make today, their impacts will determine the future of the continent. Externalising our economic growth and surrendering it to external actors to design and control the pace of that growth is not healthy for the continent and that format is not sustainable. Africa has one more chance in its history to correct the errors of the past by clinging on these new opportunities, exploiting them to its benefit and get the continent ready for the next wave. Though there is so much interest on the continent and somewhat inflated speculations about its growth potentials, the continent is at a cross road and any policy blunder now will be very costly for its’ future. The purported adoration for the continent will not carry on forever so it must act wisely. If it squanders these opportunities then it will have but itself to blame. Addressing the high rate of youth unemployment on the continent should be given a priority. Reducing youth unemployment will tackle a majority of the security problems while at the same time creating a consumer base, which will in turn guarantee a sustainable economic growth. And finally the need to boost intra-regional trade within Africa and speed up the process towards a single trading union is more important now than ever before. This article was originally published in the African Policy Forum and is reproduced here with the permission of the author. Eric Acha is a policy analyst and the Executive Director of the Africa Policy Forum. China is already the world's largest manufacturer of electric bicycles and electric tricycles but only 6,900 domestic-brand electric cars (EV`s) were sold in China in 2013, according to a new report on China’s EV production and sales. That’s in contrast to China’s total car sales for 2013 of 22 million, surpassing 15.6 million in the US. Little demand for EVs means the nation is far off it`s target, set in 2012, to sell 500,000 electric cars in 2015 and five million in 2020. The one caveat being in the booming demand for electric busses. Not to be perturbed the Government has released new incentives to promote what it sees as a strategic emerging industry. Subsidies will continue for at least the next 6 years and from September the 10% purchase tax will be waived on all new EV`s. Whilst the main factor for the slow take up on EV`s is their price, lack of charging facilities and private investment have also been identified as crucial factors. With new partnerships, Tesla is set to build 40 new Supercharger stations across China. 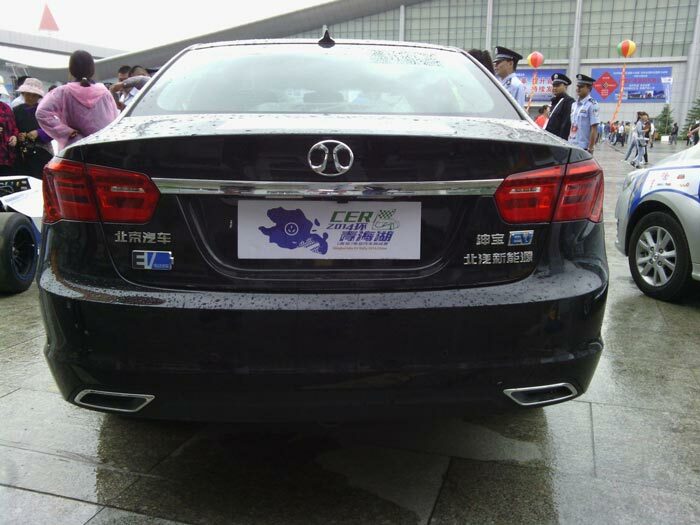 Aside from the pricey Tesla, no foreign car company is selling an EV in China at the moment. Nissan plans to sell a Chinese version of its all-electric Leaf, which will be called the Donfeng-Nissan Venucia e30, in September. The top selling passenger EV in China last year was the BAIC E150 (pictured below), according to the Paglee report. The Ford Fiesta-sized car starts at a pricey RMB 195,000 (US$31,700) for the electric model, as opposed to just RMB 58,000 (US$9,430) for the identically-bodied petrol model with a 1.3-liter engine. The Warren Buffet-backed BYD is struggling to generate interest in its growing range of EV`s. The auto-maker, known for its battery technology, aims to triple sales of EVs to 8,000 units this year, including 2,000 buses. But most of its electric cars will be sold to taxi fleets. But fundamental problems remain. 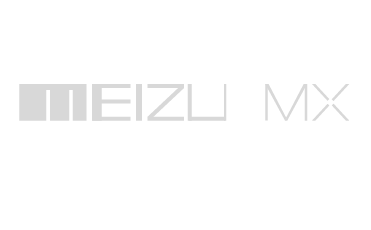 One is that China’s urban middle class prefer foreign brands. The top-selling three models in China last year were the locally-manufactured versions of the Ford Focus, VW Lavida, and Buick Excelle. Another is that most urban residents in China live in gated apartment communities, meaning people have no personal garage in which to charge an EV. Homeowners in Shanghai can apply for installation of private charging facilities, but they must actually own a parking space inside their compound – which not all property owners do. The Shanghai Daily reported earlier this year that Shanghai Power Company has received 140 applications for home-based charging ports, but has so far given the go-ahead for just 30 of them. These charging stations can cost as much as RMB 50,000 (US$8,000), which eradicates much of the savings people make from the EV subsidy. A further barrier is that not all real estate companies are open to such modifications being made to parking spots. Beijing municipal authorities have published a ‘2014 to 2017 action plan’ for electric vehicles, according to Tencent Tech. The initiative centers around building 10,000 charging facilities across the capital by 2017. The first batch of 1,000 will be positioned within a five-kilometer radius of the city center, focused on major transport hubs. But what of the nation’s other cities? Only once a city has a charging infrastructure that’s even larger than its network of petrol stations might EV`s stand a chance of being seen as a viable alternative to petrol driven cars. China’s policy towards Africa over the last year has shown several new trends that illustrate Beijing’s evolving priorities and strategies in the continent that will have significant implications for African Nations. Peace & Security in Africa. In an unusual shift in policy, China has assertively enhanced its direct involvement in Africa’s security affairs. Two months into Xi Jing ping`s reign, Beijing unprecedentedly dispatched 170 PLA combat troops to the United Nations peacekeeping mission in Mali. This was in contrast to China`s policy of only contributing non combat troops to UN missions. It remains to be seen whether this move changes the PLA`s operating principle of “no combat troops on foreign soil”. China’s choice in dispatching combat troops for the first time in recent history does suggest rising interests, enhanced commitment and a direct role in maintaining peace and security of Africa. In a further unprecedented and surprising move, China under Xi engaged in open intervention in the South Sudan conflict through direct mediation. In 2013, China’s envoy for African affairs, Ambassador Zhong Jianhua, paid no less than 10 visits to Africa to coordinate positions and mediate in the South Sudan issue. Again, in January 2014, in a rare display of overt political intervention, Chinese Foreign Minister Wang Yi publicly called for an immediate end of hostilities in South Sudan. At Ethiopia’s invitation, Wang Yi traveled to Addis Ababa to meet with rebel and government delegations. He openly urged “immediate cessation of hostilities and violence,” and publicly called for the international powers to back the Ethiopian-led mediation efforts. Given China’s considerable oil stake in South Sudan (China imported nearly 14 million barrels of oil from South Sudan in the initial 10 months of 2013), many believe that China is gradually abandoning its long-term “non-interference” principle to protect its overseas economic interests. 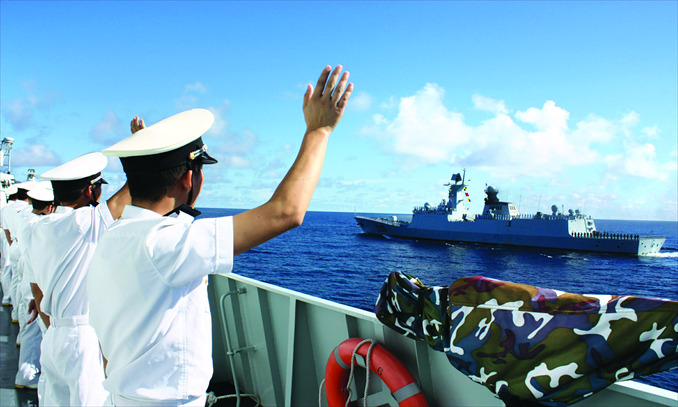 Under Xi Jinping, China has continued its naval missions in the Gulf of Aden whilst enhancing its security cooperation with Djibouti on such matters as local logistical supplies and emergency assistance. 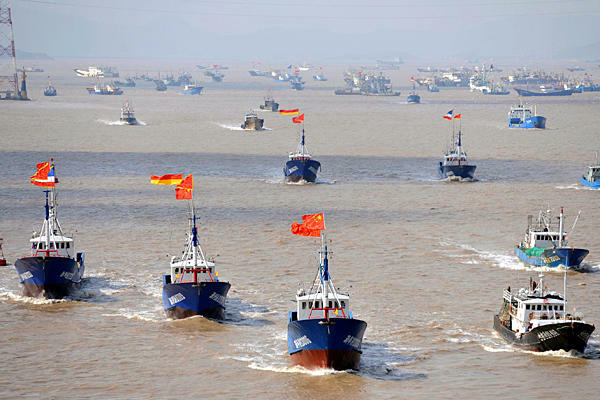 China has dispatched a total of 16 ships to the region and escorted over 5,300 ships. China’s increasing direct involvement in the peace and security affairs of Africa is also reflected in its rising financial and military contribution to the main regional organization—the African Union (AU)—to help boost its security role in the continent. In 2013, China provided $1 million in assistance to the AU to support its mediation and coordination efforts in the Mali conflict. It has also provided military material assistance to African nations involved in the AU peacekeeping missions under the same framework. China’s rising involvement in Africa’s security affairs is motivated by multiple considerations: primarily the instability and conflicts in Africa have increasingly become a direct challenge to China’s economic presence in Africa. China has reflected on its expensive lesson during the Libyan civil war in 2011, and is known attempting to take the initiative in preempting similar situations. Equally crucial is President Xi Jinping’s desire to build China’s leadership role and image on the international stage, peace and security issues in Africa being the perfect platform for such a goal. New aspects of Chinese Economic Cooperation with Africa. China has expanded its financing to Africa. In a little over a year, China has issued over $10 billion in loans to African nations, and promised a further $20 billion to be leant before 2015. The emphasis of these loans lies in China’s new priority of financing infrastructure, agricultural and manufacturing industries in Africa, a strategy that shifts away from its traditional investment in Africa’s extractive industries. China is further strengthening its cooperation with African nations on developing their manufacturing industries. 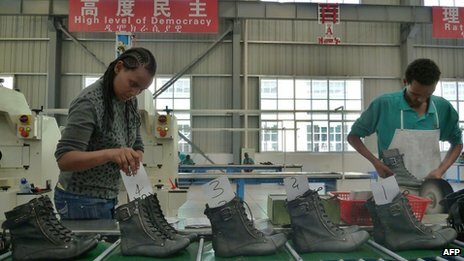 In the case of Ethiopia, the country is trying to become the center for manufacturing in Africa based on Chinese investment. This would serve to facilitate a shift in China’s own position in the world supply chain and transfer some of its manufacturing industries to Africa, which is eager for industrialization. Whilst this does not necessarily indicate an abandonment of the energy and natural resources Africa has to offer, it does suggest that China is trying to diversify its investment in Africa in pursuit of new investment models whilst defusing criticisms on China’s “exploitation” of African resources. Diversifying the Chinese-African Political relationship. In separate strategy to improve China’s image in Africa, Xi Jinping`s government is presently eagerly engaging the African media to propagate China’s virtues and beneficial investments in the continent. Under the “China-Africa People to People Friendship Action” plan, Chinese embassies across Africa are seeking collaborations with African NGO`s and have implemented dozens of projects. Although these projects are primarily implemented by NGO`s, they serve to diversify China’s aid model in Africa and promote exchanges and cooperation with society. During his first year in office, Xi Jinping`s government has demonstrated a major new and diversified policy towards Africa and we wait to see the evolving relationship between the two. With another 200 Million Chinese people expected to join the middle class by 2025, who will be making the purchasing decisions in these household and what will they be buying? It`s the mothers. The highest percentage of a Chinese family’s disposable income is spent on their child after that it's the household. Mothers, by and large, decide how that money is spent and what brands they spend it on. This means that they control a very large portion of China consumer spending which is often much larger than their husband`s purchasing power. Any company attempting to sell consumer goods in China must understand this demographic and how they think. But what are the top priorities for mothers? Health, Education, Household goods & Cars is what we believe mothers care about. Whilst middle class consumers have rising purchasing power and are increasingly willing to pay more for higher quality, brand names, and differentiated features, they are still price sensitive and recognizing who is doing the purchasing is essential to success in the marketplace. Brands need to connect emotionally and forge a strong brand position. Health. The expansion of the middle class is not just stimulating investment in private hospitals but also in dental services, cosmetic specialties, rehabilitation services and elderly care. Spending that would previously have been seen as a luxury items is becoming a standard cost of living for the middle class. 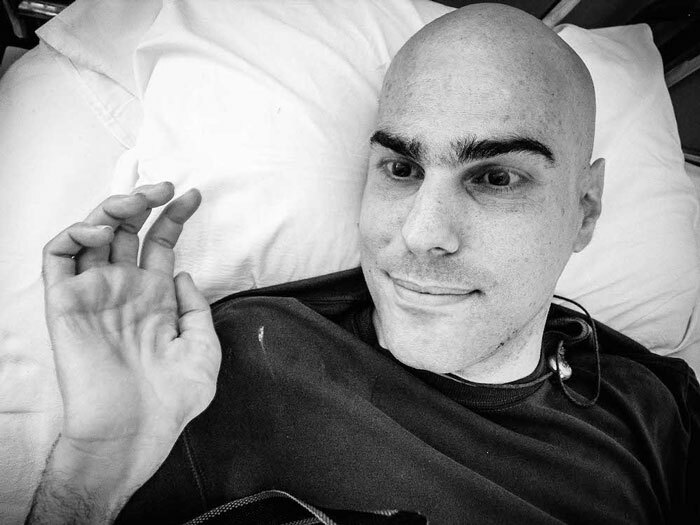 Patients usually want to go to clinics attached to the highest-reputation hospitals and private health insurance is now a necessity for many families to facilitate this. Education. In a country as populated as China it`s all about differentiating yourself for the other thousands of equally qualified people and with the one child policy still in force the child is the center of the family. Academic achievement reflects successful parenting and tiger mothers often only allow their children to engage in activities that would help further their academic ambitions: Exam preparation classes, Foreign language lessons, Arts and music classes, role play centers for social education and physical exercises. No expense is too great to further the potential of the families child. Household goods. Buying habits are changing in a subtle shift away from a focus on ‘Value for money” to quality and value added goods that have a track record for good safety. As urbanization accelerates, consumer spending is becoming more like that of the West’s middle class. Urban Chinese are shopping to meet emotional needs, driving a skyrocketing demand for middle-class goods, food, and entertainment. Cars. Nothing says you have made it better than a car. Demand simply keeps on rising for both domestic and foreign brands with China becoming BMW`s biggest market in 2013. Increasingly it is women who now make the final decision about which car to purchase and forefront in their minds is Quality & Safety. As marketers focus on China’s middle class they will also have to prepare to serve an even more affluent upper tier of that demographic which, in many cases, will be located outside of China’s first-tier cities. According to consulting firm McKinsey, China will soon undergo a shift from its current “mass middle class” to a new category of upper-middle-class Chinese consumers. Calling this cohort the “new mainstream,” the firm identifies them as consumers with household incomes between ¥106,000 and ¥229,000 ($16,000-$34,000). Perhaps even more striking, their numbers will swell from just 14 percent of urban households today to 54 percent by 2022, according to McKinsey’s estimates. It is not uncommon for women to keep the family bank accounts in their own names and give their husbands a weekly allowance hence it will be the mothers of this new mainstream that will be holding the purse strings and the demographic that must be catered to. Chinese women are emerging as one of the most confident bodies of consumers in the world. And they have the money to keep on spending. By Kerry Brown for China Brain. `The New Emperors’ looks at the nature of power in modern China, and in particular at the key location where most of this power is now placed – the Standing Committee of the Politburo, which, since 2012, has had a mere seven people sitting on it. It is on this body that the key strategic decisions about China’s economic and political direction are made. The members of this group are superficially very similar. 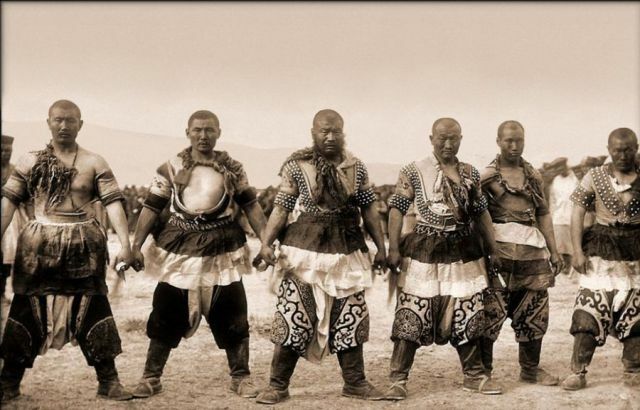 They are all men, all ethnically Han, and all in their fifties or sixties, They are lifelong members of the Communist Party, and own total allegiance to it. They have served almost all their professional careers in entities either under its control or at its centre. But looking a little more closely at the biographies of these seven individuals shows that under the surface there is great diversity, and that the current Communist Party of China is not a monolithic entity, but more akin to a dynamic organism, adapting, reshaping, changing and evolving. The sole shared quality is their allegiance to the Party’s continuing hold on power, and its centrality in modern Chinese political life. This could be called their common cause, as the Party’s faithful servants and guardians. In this book, my approach has been to map out a new concept of what power is in modern China, and how people exercise it. I argue that the key issue is not about factions, with their neat delineations and boundaries and misleading rationality, but more networks, loose, liquid and constantly shifting and changing. The concept of network, outlined in works like that of the great Chinese sociologist Fei Xiaotong, serves to capture the dynamism of political debts, allegiances and negotiations in China. The transition from the leadership of Hu Jintao and Wen Jiabao to Xi Jinping and Li Keqiang illustrates this. This was a succession process without overt public campaigning. The sole figure who did seem to be pushing for his promotion onto the Standing Committee, Bo Xilai, failed spectacularly in achieving his aim, and is now in jail for claimed corruption crimes. All the other figures had to promote their cause in a subterranean, calculating way, building up support and capital amongst business, provincial, family, party, ministerial, intellectual and military circles. Those that secured the widest support had the best chance of succession. The final casting vote in the process was the benediction given at the very end by retired former elite leaders, such as Jiang Zemin and Zhu Rongji. The outcome of the process over 2011 and into 2012 was a Standing Committee where membership was largely based on specific constituencies and skills that successful figures brought to a leadership that is faced with some of the toughest issues of continuing reform faced in the country over the last four decades. Of the seven, six had served at the highest level in Provincial government, in charge of major economies, some of them working in two or more large provinces as Party bosses. The exception, Liu Yunshan, figures in the leadership as ideological leader, a former journalist for the Xinhua news agency in Inner Mongolia whose route to the top had largely been through the state propaganda and information management apparatus. His membership shows how critical this area is for the new leaders. The rest had all had provincial and central ministerial records to lay down as evidence of their abilities. In the `New Emperors’ I look at the previous statements, actions and records of the leadership before they were promoted in 2012. In Xi Jinping, we see the member of an elite Party family whose father remains immensely respected and admired, and whose networks were of great assistance to his son in coming through Fujian, Zhejiang and then Shanghai before being brought to the Centre in 2007. Xi Jinping has been called the `peasant emperor’ in China, someone who knew hardship as a youth but who is now seen as a member of the new aristocracy. Li Keqiang is also linked to former elites through his wife, but has a stronger intellectual background, studying law in Beijing in the 1980s and then completing a Ph D in economy in the early 1990s. Li’s stewardship of Liaoning and Henan provinces shows someone who was able to manage crises, but about whom there are questions over his skills as an implementer. For Zhang Gaoli, the story is simply about an official from the state oil industry who was able to deliver staggering high levels of GDP growth in the provinces he was put in charge of through skillful recruitment of business networks. Zhang Dejiang, a North Korean trained economist, showed different tactics in Zhejiang, and then Guangdong province, using high levels of physical coercion to deal with acrimonious disputes, speaking out strongly against the private sector, but showing total pragmatism when put in charge of provinces with huge private entrepreneurialism, never letting ideology standing in the way of economic success. Wang Qishan is the maverick of the current leadership, someone who came from a mixed professional background, studying history and then working at a think tank in Beijing and only joining the Party when he was already in his thirties. But Wang’s skills as an economist and a diplomat are already proven, and his current task of heading the anti corruption agency shows that he is regarded as someone who gets things done, no matter what enemies he makes. Finally, there is Yu Zhengsheng, a man from one of the most elite family backgrounds, and with the longest and richest provincial experience, but someone who has also suffered greatly, with his sister reportedly killing herself in the Cultural Revolution. Yu is regarded as the `older brother’ on the leadership, someone very close to the family of former paramount leader Deng Xiaoping. Beyond their biographies however, there is the key question of what precisely they believe their mission is, and what sort of world they are trying to create in China. In the final chapter, I look in detail at the words of the three who have said most about their beliefs in the last decade – Xi, Li and Liu. With these figures, I map out from their own worlds a vision of the world and their role in it. For Xi, this is clearly restoring the moral mandate of the party after too many years of allowing it to be sullied by greed and larceny; for Li, the core issue is unleashing more spaces for growth within China and becoming less economically dependent on the world outside; and for Liu, it is conveying the core message of party ideology and belief to a sometimes unreceptive and disbelieving membership. For all of them and their colleagues, the great mission is a simple one: to steer China towards becoming a strong, rich and powerful country in the 21st century, and one that has its rightful status restored in the world. Kerry Brown is Professor of Politics and Director of the China Studies Centre at the University of Sydney, and Associate Fellow of Chatham House, London. 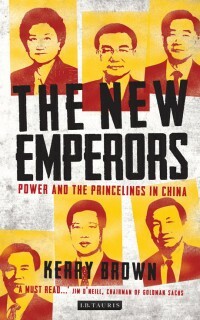 `The New Emperors: Power and the Princelings in China’ was published by I B Tauris in June and available from Amazon here. By Roy Graff for China Brain. China has been the world's largest domestic tourism market since 2009, when it registered an astonishing 3.3 billion individual trips. Last year domestic tourists spent ¥2.6 trillion ($417 billion) according to the China Tourism Academy. Whilst foreign countries have been actively encouraging Chinese tourists, who tend to spend a relatively high sum of money during their time abroad, the largest market potential remains within the country. Furthermore, domestic tourism is expected to grow by 10-20% annually in the near future. A good indication of expected growth in the sector can be seen by corporate expansion plans. French hotel giant Accor announced that about a third of its planned 100 new hotels in China are to be opened close to domestic tourist destinations as opposed to cities. Furthermore, Walt Disney & Co. will open a Disney resort near Shanghai in 2015 or 2016. But what does this burgeoning love of travel mean for the environment and is it being sustainably planned? Besides impacting cultural and natural heritage treasures directly, tourism strains water and waste management, consumes vast amounts of energy, and creates vast amounts of pollution. Will China be able to relieve these pressures and make its tourism industry more sustainable? If you were a farmer living on the planes of Western China and dark clouds gathered over the mountains, you would know that a flood may be about to hit your land. Water is a resource you need but too much of it would wash away your newly planted seedlings and possibly your property as well. The same risk of ‘too much of a good thing’ can be applied to the domestic tourism sector in China. 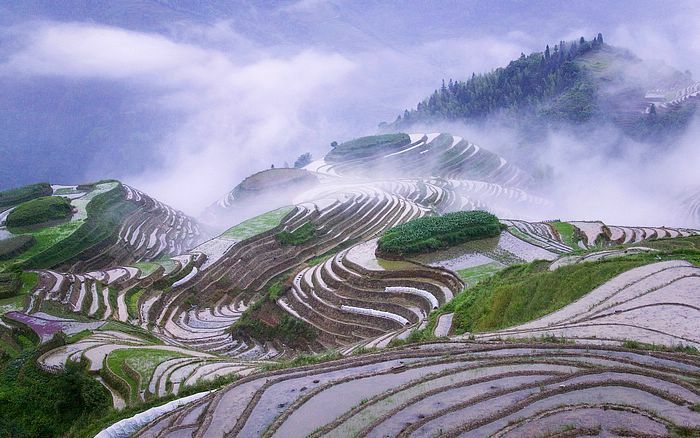 The villagers in Dujiangyan, Sichuan province, have developed a sophisticated irrigation system to protect their fields from sudden water surges and ensure that all farmers have equal access to water during dry spells. This so impressed modern archaeologists and sociologists that it has been recognized as a UNESCO World Heritage Site. Jiuzhaigou, another UNESCO World Heritage Site in Sichuan, despite its remoteness, attracts tens of thousands of tourists every day. The area is indeed very beautiful and will see its popularity increasing. However, it also contains a fragile ecosystem, in which wildlife has nearly dissappeared, due to the increasing human activity. Although visitor numbers are restricted by UNESCO, during the peak-season, the amount of tourists often exceeds the limit. All across China, domestic tourism has been booming (so has outbound tourism) and its pattern is changing from people travelling only in tour groups to more independent self organised travel, to ever more diverse regions of China. When you consider that statistic of 3.3 billion trips each year, what environmental impact can we expect as tourism continues to expand? It is China's diverse and until recently, isolated scenic areas and natural wonders that are the areas leading the trend for growth. One example is Guizhou, a minority-dominated and underdeveloped province in South West China, where income from tourism rose by 30%, to ¥186 billion ($29.8 billion) in 2012. Chinese netizens often use a phrase 人山人海 (renshan renhai) “a sea of people” to describe the scene around attractions during national holidays. Beaches and mountains strewn with litter after national holidays are becoming a usual vision and unchecked building development in environmentally sensitive areas continues without EIA (environmental impact assessment) or government long term planning and supervision. Water and energy resources are often not adequately managed to ensure local communities are protected while tourists enjoy hot water, air conditioning and imported food. This isn’t exclusively a Chinese problem but the scale of tourism in China outstrips any other place on earth. Sustainability is an oft-used and abused term that has to all intents and purposes lost its effect of changing people’s behaviour or encouraging actual government action. Peggy Liu, Chairperson of JUCCCE has said that the language of sustainability no longer serves its purpose and we must reassess how we define what is good for people and the planet, starting with simple human ambitions for quality of life and dignity. Even those that benefit in the short term from over development in tourism spots have children and relatives who may wish to enjoy these resources in future generations. This means understanding and addressing issues such as carrying capacity, resource allocation and people flow. We should ensure that local communities across China share in the rewards of tourism growth through employment, nature and tourism education and training. When people who live locally care about the resources that others pay to see, they will do a much better job of protecting these same resources. In China, usually it is the local governments that are in charge of the majority of tourist attractions, therefore there is little transparency in management, and the only criterions used to evaluate performance is the number of sold tickets and profit, hence there is little space for environment protection and sustainability. By rewarding management in a transparent fashion and education, it can be ensured that people in charge of national parks are committed to responsibly operating them by encouraging a transparent administration, adding new benchmarks for performance and ensuring that they commit to long-term sustainable management. Taking a national park as an example, what this means in practice is an accounting system that considers not only direct management costs but also puts value on waste cleanup, effect on surrounding areas, support of local communities through training and employment schemes, increasing the well being of people in the local community and revitalizing the eco-system through re-introduction of native animals and plants. Setting goals for all these things and rewarding management financially for them will offset their reduced income from leasing adjacent land to development and earning additional revenue from concessions and private business operating inside the park. China has an opportunity to become a model of good, long-term planning and sustainable management of its scenic spots. There are companies already taking the initiative in planning and developing new tourist resorts and attractions, thanks to the leadership of visionaries that understand China is facing an environmental catastrophe if business continues as usual. However, due to the top-down nature of planning and development in China, a lot of responsibilities lies with the central and local governments, which must pay a lot of attention to the problem, enforce environmental regulations and incentivize private business and park administrations not only encourage economic development, but also bolster a long–term, viable approach that protects both the nature and human heritage for future generations. Roy Graff is Managing Director of ChinaContact, a boutique market entry specialist for China’s tourism, luxury retail and hospitality sectors. As a keen supporter of sustainable development and environmental protection he provides pro-bono time to causes he is passionate about. Currently Roy serves as Project Director – Eco and Heritage Tourism at JUCCCE. He has held several volunteer positions including Vice President of communications at PACE (Professional Association for China’s Environment) in China and council member of Tourism Concern in the UK. Roy cooperates with UNESCO, IUCN and other bodies to promote a sustainable and ethical tourism industry in China.